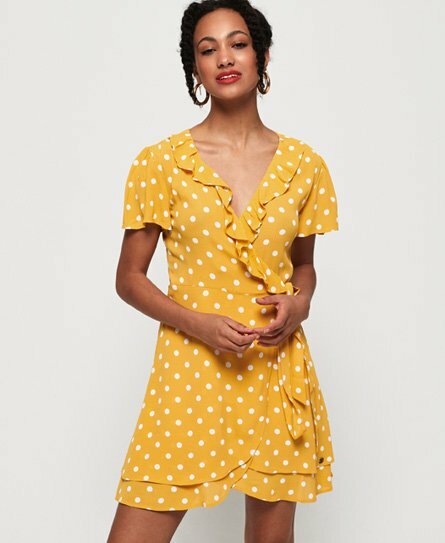 Superdry women's Summer wrap dress. See in the new season in style with the Summer wrap dress. This figure flattering dress features frill detailing around the neckline, tie waist fastening and double layer hem. Completed with a small logo badge on the hem, pair this wrap dress with a denim jacket and sandals for a great daytime look.